Hi Kelly — These tags are as sweet and can be and would be so wonderful for children’s birthday gifts or even adults who love a bit of whimsy! I alos LOVE your fabulous Copic Coloring and think you did a wondeful job on these! My favorite…..and its’ hard to choose woudl have to be the Hoot Owls, because of that fabulouso “Starry Night” background! Love Love Love it and always love the amazing look you can get from Distress Inks!! 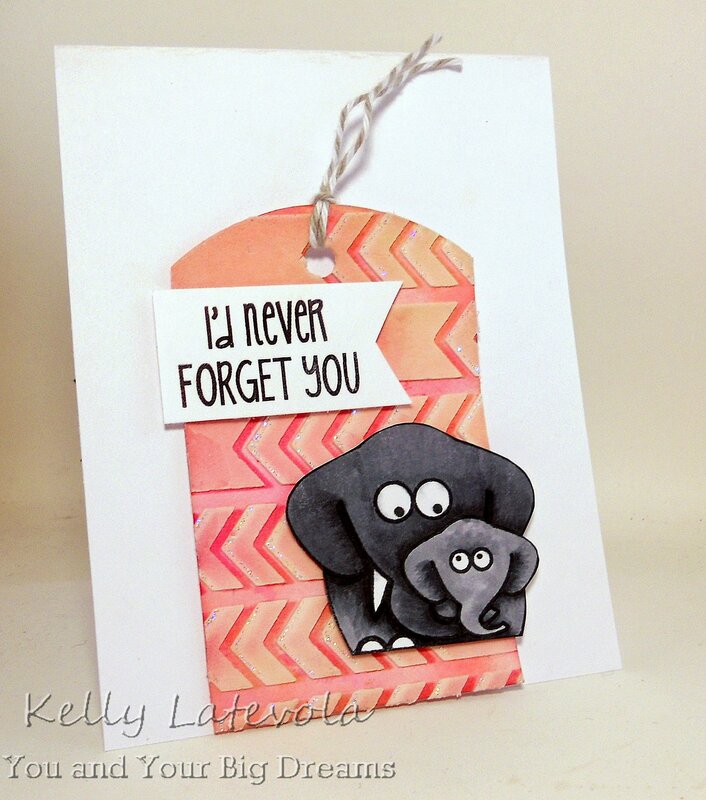 Thanks for sharing you super creative tag idea! I also look forward to seeing your posts!! Really cute tags, Kelly! I love how you used your stencils for the background on each one, and how you added texture and dimension, especially on the last one! Really fabulous Copic coloring, too!